Ken and I have been busy this past week working and also getting some stuff done on our house. Since we didn't do any "sailboat" stuff, I thought I'd share a tip that we learned during our sailboat haul-out. 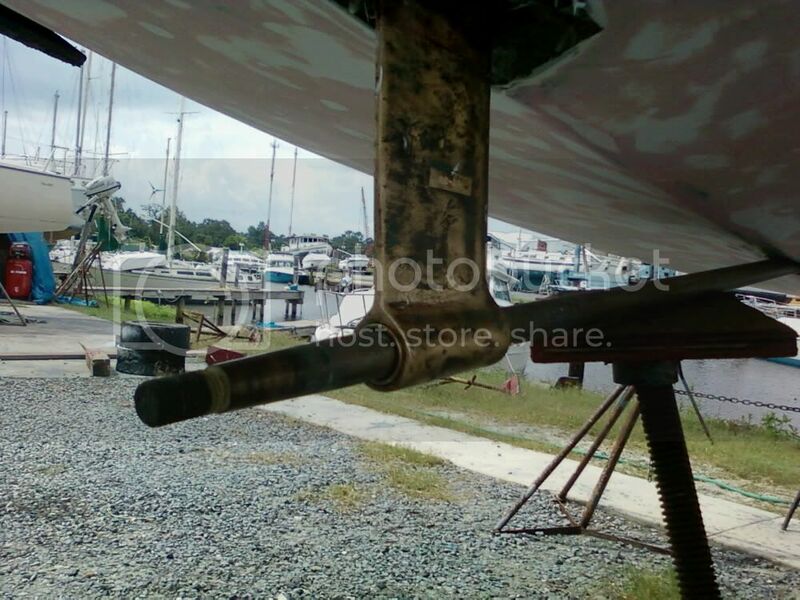 The picture above is a new cutlass bearing partially in the sailboat's strut. It's tempting to use that rubber mallet, but don't do it! We have a better way below. For those of you who aren't sure what a cutlass bearing is, it's that brass "tube" which goes into the strut. The cutlass bearing has rubber strips inside of it, which tightly hold the prop shaft, yet allow the shaft to rotate and turn the prop. During our haul-out of Nirvana, Ken and I often found ourselves scratching our head and thinking, "How do we do that"? One of these times was when we realized that the cutlass bearing on our Catalina 30's strut really needed to be replaced while we had our sailboat out of the water. We had two questions: How do you get the thing out of the strut? How do you get the new one back in? We weren't sure what to do, so Ken called our friend Martin. Martin has been a liveaboard for many years and knows a lot about sailboats. We thought Martin was brilliant when he came up with an answer to both questions! Thank you, Martin! To remove the old cutlass bearing, Martin instructed Ken to use a hack saw and cut the old cutlass bearing out of the strut. Since the strut was loose and the bolts needed to be tightened, we already had removed the strut from the bottom of our sailboat (much more complicated than it sounds)! Therefore , Ken was able to clamp the strut to his workbench and cut the old cutlass bearing out of the strut. He tried the hack saw, but it was taking forever so Ken figured he'd try his reciprocating saw. He was very careful, and in no time he had the old cutlass bearing out of the strut. The next step was to install the new cutlass bearing into the strut, which is a very tight fit. Martin had suggested that we take a large all-thread bolt with washers on each end with a nut to draw the cutlass bearing into the strut by tightening the nut. At first Ken was a little impatient and figured he'd try to force the cutlass bearing into the strut with a rubber mallet. I was very nervous about this, as we had ordered the cutlass bearing and did not have time (or money) to waste by having to order another one if this cutlass bearing got damaged. Anyway, after a few hits with the rubber mallet the cutlass bearing started to "mushroom" slightly and Ken decided to call it quits before he wasn't able to use the new cutlass bearing. So, with nut and bolt in hand, Ken and I made a visit to Martin for some more advice. 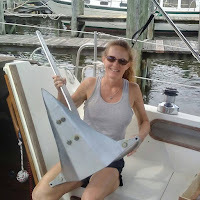 We were really getting anxious to have this project behind us, as we were on a tight schedule to get our sailboat back in the water and we didn't want to waste another day! Well, once again Martin saved the day! The bolt we purchased wasn't quite right, and Martin happened to have the right all-thread bolt on hand. Okay, so here is what Martin did, and I'll do my best to explain it. Martin aligned the bearing with the strut, inserted the all-thread bolt through the strut and through the bearing with a washer on the end that was inserted to hold the bolt against the strut, then put a washer and a nut on the opposite side of the bolt against the bearing, and then tightened to pull the bearing into the strut. He started turning .... ever so slowly, as this is not an easy task. He also continued to spray the cutlass bearing with a lubricant in order to help it go into the strut a little easier. After about what seemed to be 10 minutes, the new cutlass bearing was in the strut! Thank goodness for friends with sailboat experience! For those of you faced with having to replace the cutlass bearing on your sailboat's strut, I strongly recommend the above. It works! I'm sure we'll have some more "how-to" tips to share in the future! We don't work on our boat at all. We have a mechanic that does everything. Not because we are lazy about things, it's because neither one of knows the first thing about working on a boat. Simple things okay, but something like this would be way over our heads. To get it out in future, withdraw the shaft and with two sockets one deep, and of the right sizes and the bolt and washers again. Wind the cutlass bearing into the deep socket until it can go no more then extend it with a distance piece. Or use a pies of tube of a slightly bigger ID than the OD of the cutlass bearing. I would still prefer to use a deep socket to start pulling and then move onto the tube/spacer/pipe, later as it gets to the end . Thanks for the info Rob! Every little trick makes things so much easier. Sandee, you are so lucky! I wish we didn't always have to fix everything ourselves, but I guess it will help when we're cruising. 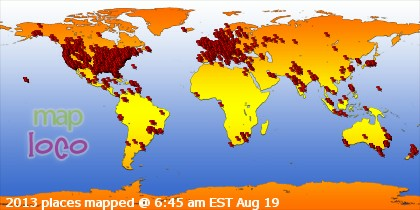 Verena, wow! Who knew you could break a strut with rope/traps! Ya'll looked happy in the picture, though. Glad it all worked out okay. I'm there with Sandee, we can do some things but this wouldn't be one of them. As a matter of fact our shafts have been removed for repair (along with a whole lot of other stuff) and it took quite a bit of work for the mechanic to remove them. I really envy people who are as handy as you two are, it really pays off in the end and you learn so much about your boat along the way. 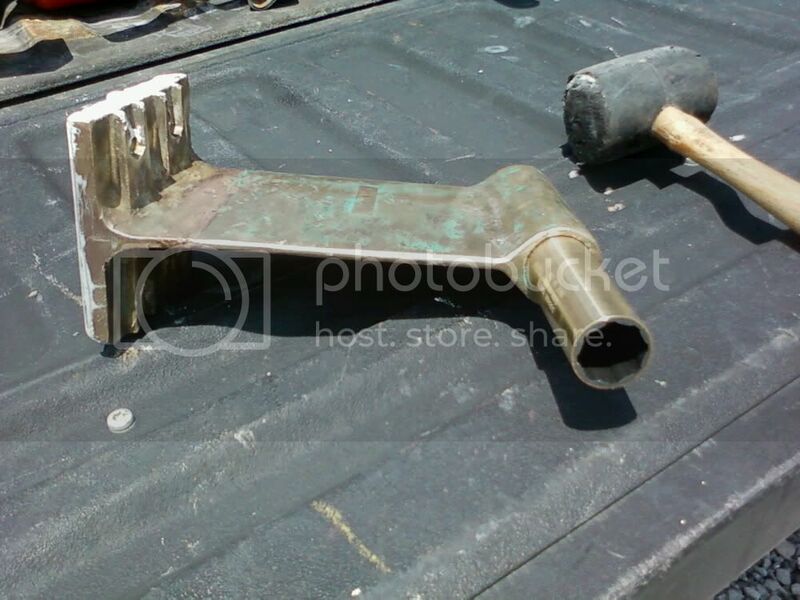 I had to knock my cutlass bearing out with a hammer and like sized pipe piece. (I was hauled and in a boat yard but the boat yard owner was too lazy to do the bearing for me. Long story...) Anyway, I put the new bearing in a freezer over night, warmed the bearing mount with a heat gun and it was really easy to gently tap the bearing in with a rubber mallet. Yes, the boat work is not fun but it is a learning experience! Thanks Barco Sin VelaII for the great freezer tip! Sounds easier.